Addiction is the result of weak mental condition. Therefore, Moon is responsible for addiction. Addiction habit remains for long time if it occurs from Shani. Rahu makes addiction habit fierce. Aquatic and earth element sign easily get addiction habit. 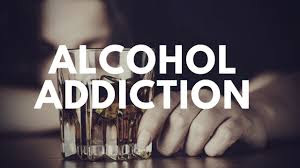 The evil effect on Scorpio and Taurus zodiac create addiction habit. Those whose birth radix 03, 04, 06 and 09 they easily get addiction habit. Strong Mercury or Jupiter avoids addiction habit. Air and fire element zodiac can easily come out from addiction habit. Sometime the right condition avoids addiction. Venus people do addiction in hobby and they live it after sometime. The addiction of tobacco occurs from second and eighth house. Shani is responsible for that. The weak Shani creates more addiction problem. It is beneficial to use ginger and celery to get rid of this addiction. Also, regularly do pranayama. Wear emerald or topaz. The addiction of alcohol occurs from Rahu. Sometimes, Jupiter plays an important role. The person gets addiction of alcohol due to Shani. A person ruins his life due to Jupiter. Chant Gayatri psalm in front of Sun. Eat pious food and keep fast on Ekadashi. Wear emerald or pearl. The addiction of medicines or drugs from Rahu-Shani, Rahu-Moon or Sun-Shani. Sometime this addiction occurs when Shani is weak or Sade Sati or Dhayya. It occurs when there is no planet in center. If Moon is paapkrant or birth is on new moon day then this habit occurs. In this case, use more water and milk. Do pranayama. Keep fast on full moon day and new moon day. Do not wear blue sapphire, diamond or gomed. Chant rudrashtak. Good Luck: If you are suffering with skin problem then take care of digestion. Keep fast on every day and drink plenty of water. Use green vegetables.